Dr. Michael Morgan earned his Bachelor’s Degree from the University of California in San Diego and his Doctor of Optometry degree from the Western University of Health Sciences College of Optometry in Pomona, Ca. Dr. Morgan was born and raised right here in San Diego, Ca. His main interests in the field of eye care are Primary Care optometry, and contact lenses. His heartfelt focus is to provide the best patient care in his hometown. Dr. Morgan is passionate about giving back to the local community, and underserved communities everywhere. He was a charter member of the Western University chapter’s Lion’s Club (world’s largest service club organization). He has participated in service trips to rural Mexico, and spent three months working with a private non-profit foundation in San Salvador, El Salvador, providing vision care to school districts and underserved areas around the country. Dr. Morgan has also performed various clinical trials and studies to investigate new contact lens designs and dry eye treatments. Dr. Morgan is currently President Elect of the San Diego County Optometric Society. 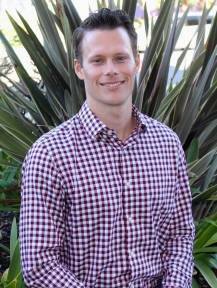 Outside of work, Dr. Morgan enjoys surfing, camping, hiking, and supporting the San Diego Chargers.